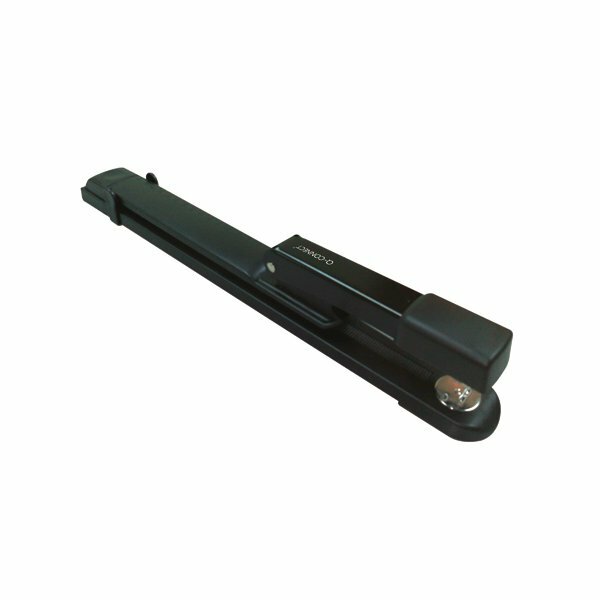 This Q-Connect Long Arm Stapler is ideal for stapling larger sheets and centres of pages. It features a tough metal upper arm, calibrated adjustable paper guide and 300mm stapling throat depth, with a stapling capacity of up to 20 sheets of80gsm paper. The stapler also features a top loading mechanism and soft rubber top cap.